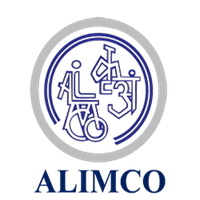 Online Application Details for Artificial Limbs Manufacturing Corporation of India Limited ALIMCO Recruitment of 36 Prosthetist and Orthotist Professional and 36 Audiologists is given below. Application form and duly attested documents are to be sent to Sr. Manager (Personnel & Administration), Artificial Limbs Manufacturing Corporation of India, G.T. Road, Naramau, Kanpur-209217. In envelope super scribed with 'Application for the Post of Post Name'.